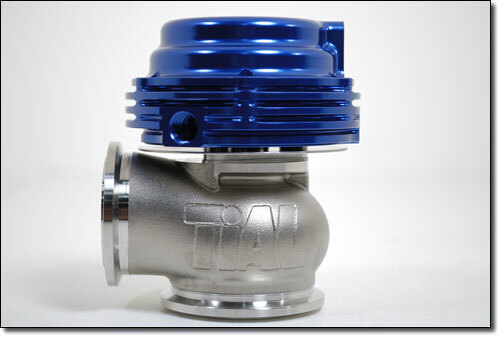 TiAL's New F38 wastegate replacement is the new MV-S wastegate. Small was in their mind when they developed this new ultra compact wastegate.Stands only 3.7" in height vs the current F38 which is 4.85"
Features include 3 bottom pressure ports for easy install and a top mount pressure port that can be rotated 6 different ways. No more bolts or gaskets and all configurations are leaded fuel safe. Diaphragm is altered to sit in where its virtually impossible to pinch.